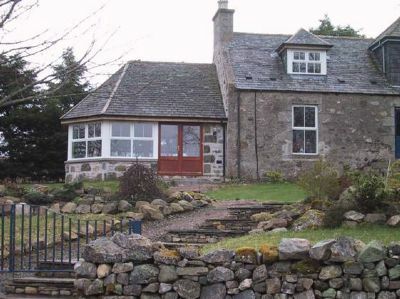 Located halfway between Huntly and Keith one mile off the the A96 it is secluded and peaceful property with extensive walks from your front door. Our prices are all inclusive and we are usually here to help you in any way. Well behaved dogs are welcome by arrangement. The property is designed for two as it has only one bedroom but a single bed (or travelling cot) can be provided to accomodate an additional adult or child. For more information and things to do and see please see the FACTORS HOUSE DETAIL page.